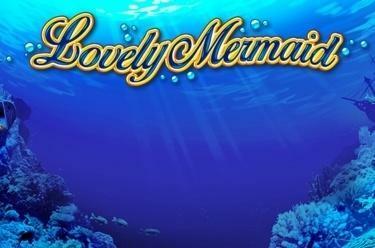 Play Lovely Mermaid online for free now! The seabed conceals numerous secrets: Descend into unexplored territory while guided by the beautiful mermaid to the awesome treasures held inside sunken ships. If while on your way you meet a group of redheaded water nymphs, you are only a step away from Game Twist fortunes—prepare yourself for a progressive jackpot! During your sea adventure in Lovely Mermaid, your quest is to land 5 identical symbols side by side along the 40 pay lines. Winning patterns start from the leftmost reel and continue towards the right until the last reel. Land at least three treasure chests (scatter symbols) on any reel position to trigger 25 free games. 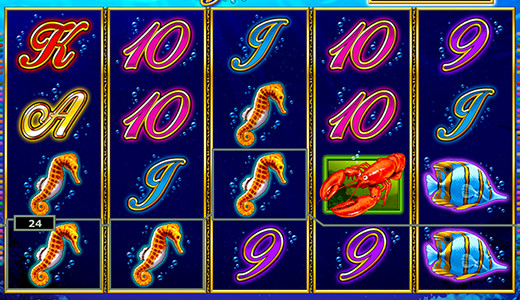 The mermaid (wild symbol) substitutes for all symbols in the game except for the scatter, and landing 20 of them in the game earns an awesome progressive jackpot!